Situated in a brand new house, by the river Wisla, Riverside Aparthotel is the perfect accomodation for guests requiring high quality and a great location. 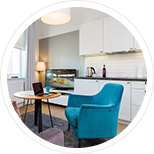 The apartments are designed in a bright, elegant and functional Scandinavian style which creates a welcoming and genuine atmosphere. We offer you a private and relaxed environment rather than a formal and conservative hotel experience. 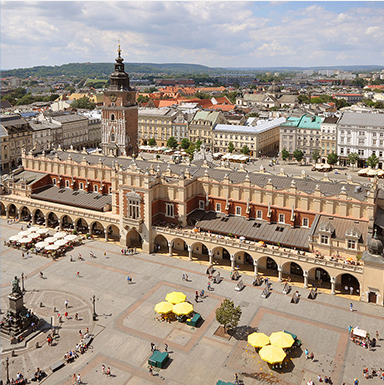 At Riverside Aparthotel you will feel at home, whether you're on a business trip or only visiting Cracow. 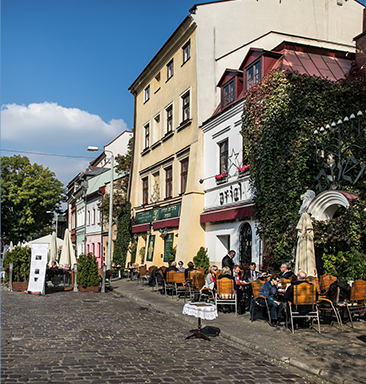 Riverside Aparthotel is located in the heart of Cracow, by the river Wisla, with proximity to many of Cracows attractions. 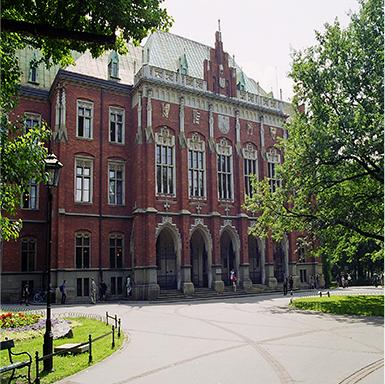 Wawel Royal Castle, Cracovia Stadium, the National Museum of Krakow and the newly built ICE Krakow Congress Center are all within a few minutes walk. 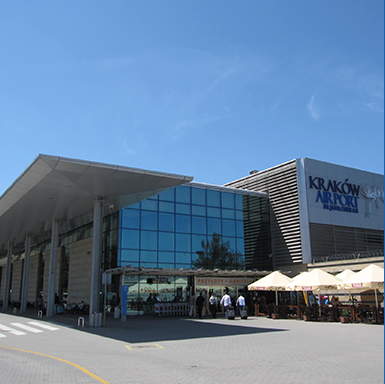 The nearest airport is Krakow – Balice Airport 14 km from the property. 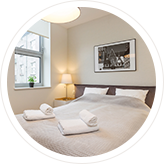 "The place is really new, modern, very well equiped and clean. 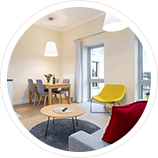 The location is excellent, beside the Wisla river, near the Wawel Castle and a walking distance from the Old City main square. Quiet neighborhood with bakeries, groceries, pharmacy, market and restaurants. There are a public bus connection to Airport (line 252) and to Salt Mines (line 304). Easy check-in and check-out. The staff is very friendly and helpful. We strongly recommend!" "Modern appartment, everything you need for a stay. It's a combination of the older house (4 stage) with the new one, furnished in IKEA style. Done by architect, even in details (colors of curtains corresponds to the color of walls etc. 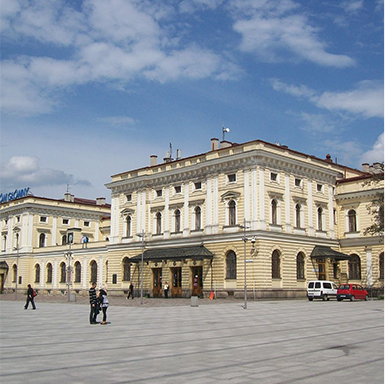 Located closely to Wawel (just about 15 min walk distance), walking distance to historical center (about 15 minutes)"
"I chose Riverside Aparthotel for its location: close to the Conference Center and with a great view. I really like the apartment, clean, comfy, nice furniture, good sleep quality. The windows were huge so the river view was stunning. I really enjoyed the six nights I stayed there. The whole building is clean, seems secure, has an elevator. There were hangers in the wardrobe (for shirts and suits), there is an ironing machine."